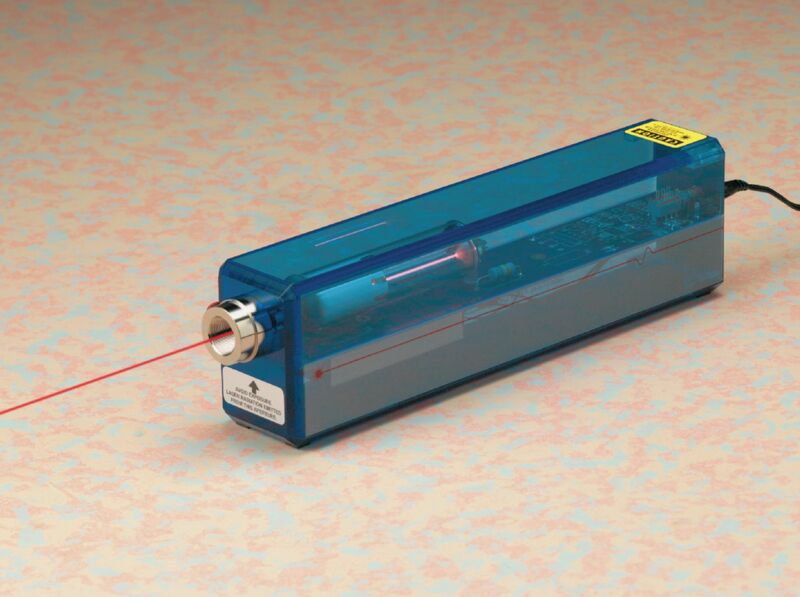 The Helium-Neon Laser is a strong laser source for holography and interferometry. Helium neon (He Ne) lasers have wavelength stability (632.8 nm) and long coherence length. Features include AM/FM radio transmission, diffraction, and single and double slit experiments. The versatile lasers are stored in attractive blue acrylic casing. The lasers have solid-state electronic design, a fool-proof mechanical beam stop, tamper-resistant screws for safety, threaded mounts for holding lenses; filters; and diffraction gratings, and rubber feet for adhesion on slick lab surfaces.